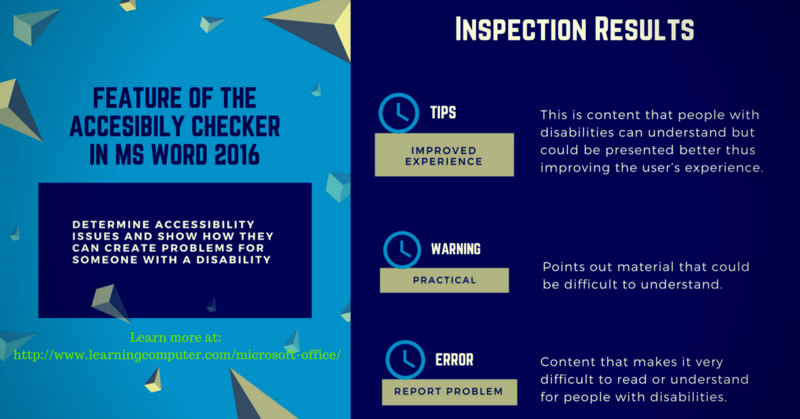 The Accessibility checker in the Microsoft Word 2016 version provides an opportunity to an enhance reader experience. This new feature allows the document creator the opportunity to evaluate if the information provided in the document will be easy or difficult to understand by every reader. The information in your document will be inspected, providing 3 potential results: Tips, warning, error.